If you're a recording artist or in the music production business, you may be familiar with the ISRC (International Standard Recording Code) and are using it for tracking playback and for monetization. Most (if not all) tools for editing the ISRC code will only allow you to assign one ISRC code to a single file at a time, which can be very tedious and time consuming, especially if you have hundreds (or even thousands) of files to process. 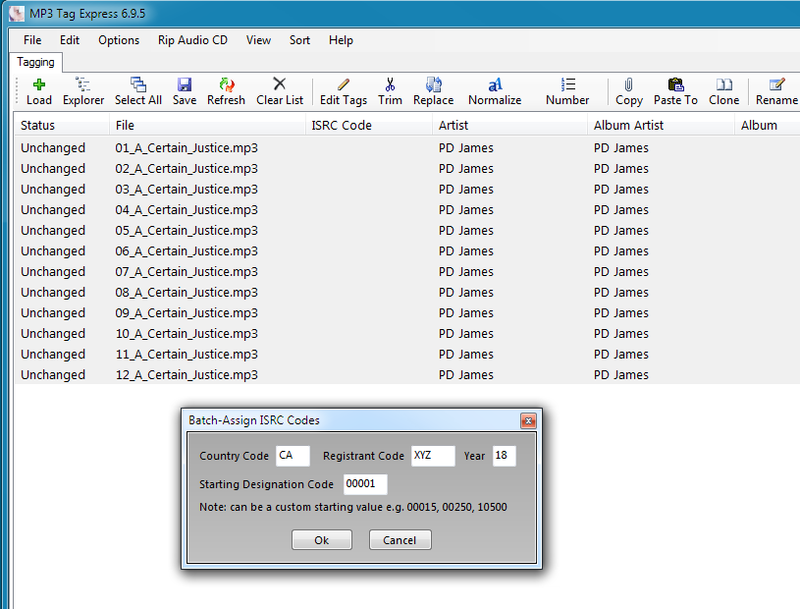 MP3 Tag Express gives you the capability to automatically generate and batch-assign ISRC codes to one or more files in a single operation. The ISRC feature remembers your ISRC Country code, Registrant code, and Year of Reference so you don't have to keep re-entering them. The starting value of the Designation code can be set to whatever you need it to be, and will be automatically incremented during the batch assignment process. 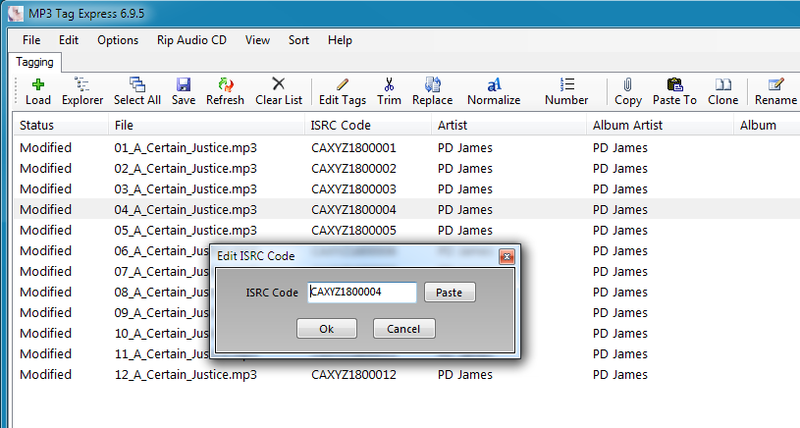 You also have the option of editing an ISRC code for a specific file. 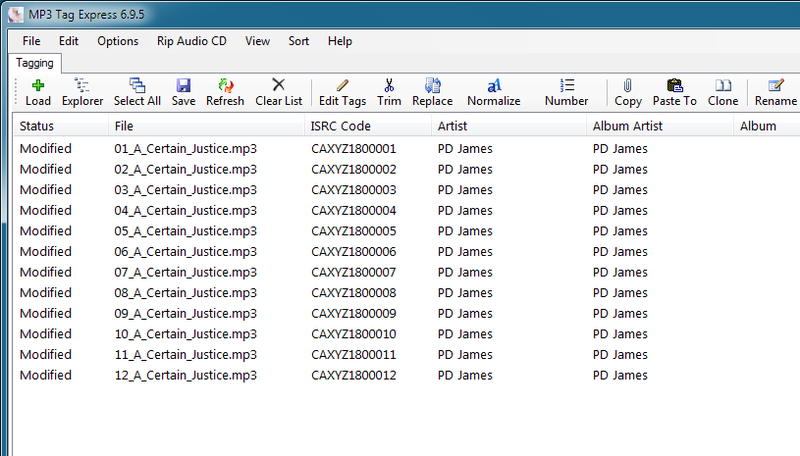 Currently, support for the ISRC tag is limited to the MP3 file format. However, the MP3 format uses the ID3V2 tag standard, which is the standard recommended by the National ISRC Agency. 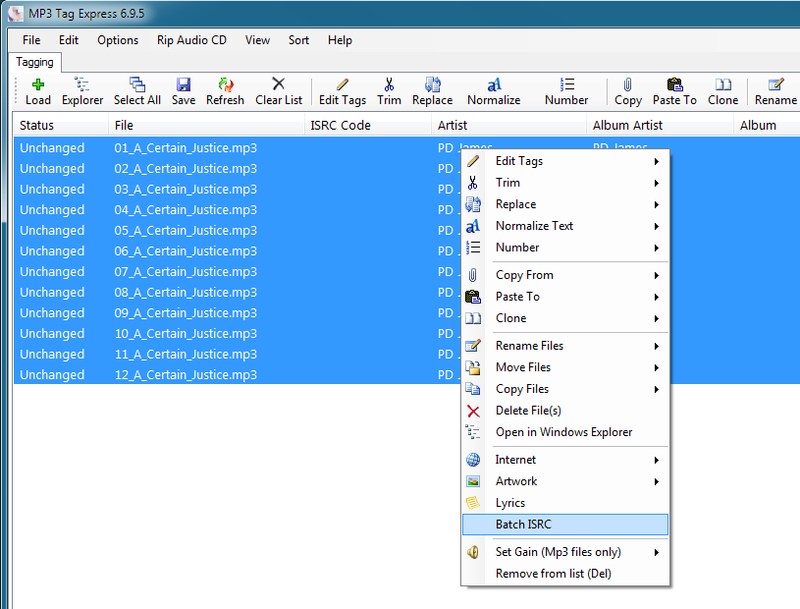 In addition to this feature, MP3 Tag Express contains a wealth of tagging and file renaming functions that save you time and effort. Visit mp3tagexpress.com to learn more. Scroll down to see some screenshots of the ISRC editor in action.